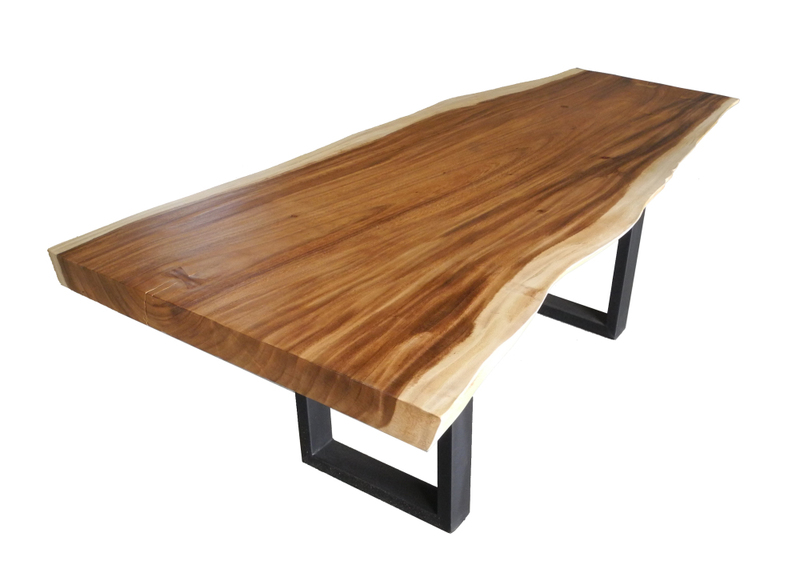 This acacia double slab dining table is constructed with with a think slab of tropical acacia wood, possessing beautiful wood grain. it ships blanket wrap white glove service. Contact us for shipping cost.